First published in 1998, this volume asks: are groups or organisations beyond the sphere of Westminster politics doomed to be marginalised in mainstream news coverage, or can the currently fashionable emphasis upon media techniques and 'spin doctoring' offer such non-official news sources a means of securing media success?. This question is now surfacing as a major issue within politics and cultural debates, as well as within the sociology of the mass media and communication studies. We are living through a period of remarkable transformation in politics, culture and social arrangements. 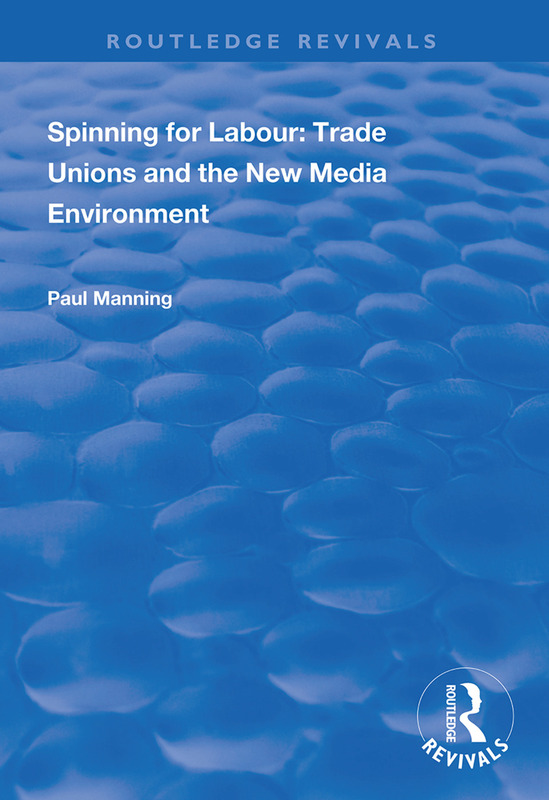 Communications experts in the 'new Labour' camp believe that trade unions must respond by becoming more sophisticated in their use of the media and marketing techniques; and by employing new vocabularies for communicating their messages to the public. However, can trade unions succeed in using the tricks of the 1990s spin doctor to restore their position?. This study uses extensive interviews with leading national newspaper journalists and senior figures within trade unions to explore the question. Drawing upon unique archive material the study points to the importance of government in fostering or undermining branches of journalism including coverage of labour relations.